RAD Yoga Surf Retreats began in Tofino in 2009. Risto wanted an action-packed getaway in a beautiful location, with like minded people and awesome food! In 2015 Erin and Jim added the Acro Yoga to the September Tofino Retreat. It was the perfect addition to these retreats, creating a feeling of community, bringing people together, and adding a bunch of fun! The energy that Erin and Jim bring to these events is second to none! Yoga and Surfing share strong connections. The surfing paddle is “cobra pose”, the “pop” is “upward facing dog” to “warrior 2”. Timing and fluidity of movement affect your balance and accuracy. Focus, awareness, breath control and discipline must all be cultivated to reach higher states of proficiency. Being in the ocean after a strong Rocket/ Ashtanga morning practice feels incredible! Then coming back to a fun Acro class and healing Yin class..... Add nutrient dense locally sourced meals, and you have the main schedule of RAD Yoga Surf Retreats. Seven days spent enjoying the beautiful ocean views and great vibes of Playa Saladita. This small beach town on the Pacific side of southern Mexico is world famous for it’s surfing. Dubbed the ‘Mexican Wave Machine’ you can stand on the shore and watch it produce one perfect wave after the next. Pair this with Risto’s signature 90 minute Rocket/Ashtanga class every morning, evening Acro & Yin yoga, excursions, great food, and relaxation, and you have a week in wellness paradise! An invigorating seven day retreat at a secluded coastal get away close to San Juan Del Sur called Costa Dulce. Wake up in your own beach bungalow with breath taking ocean views, fresh fruit, amazing coffee and Risto's signature 90 minute Rocket/Ashtanga class followed by a day spent surfing, hiking, or relaxing. Evening Acro / Yin yoga and fresh healthy meals are the cherry on top for a week of movement, relaxation, and transformation. The 10th annual Tofino RAD Yoga Surf Retreat packs a ton of goodness into just three days! 8 Locally Sourced Seasonally Inspired Vegetarian Feasts by hOMe Grown Catering, 8 yoga classes, 3 nights accommodation at the Tofino Botanical Gardens and Ecolodge,and 2 days of surfing at Long Beach with Relic Surf Shop. You'll get a strong morning practice ( Rocket/ Ashtanga ), a workshop on inversions, try some Acro-Yoga, and experience evening Yin classes with live music. It's a refreshing way to spend labour day weekend in Canada's Pacific playground paradise. 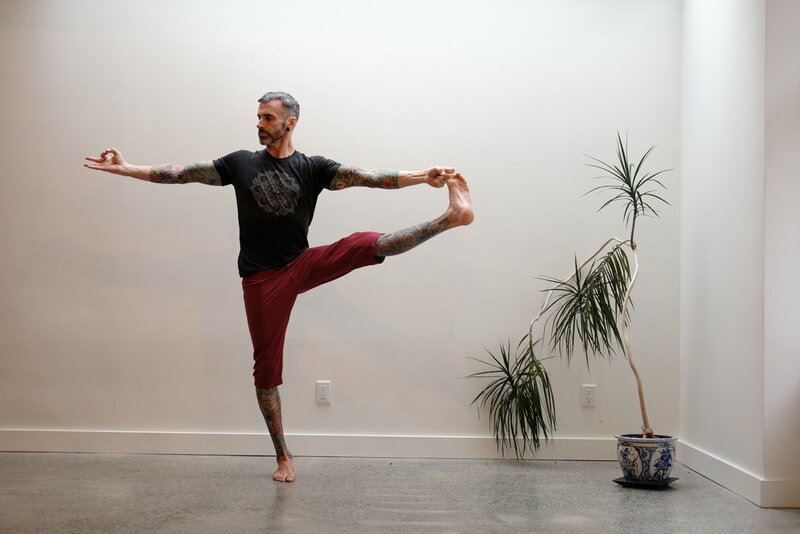 Risto Duggan is a Vancouver based yoga teacher with a focus on healing through alignment, power, and breath. His background as a semi-professional multi-sport athlete left his body broken and battered. With 9 broken bones, a bad hip and an arthritic back he was in need of some mindful healing. On his 40th birthday he took his first yoga class and his life changed dramatically. Since completing his 200 hour yoga teacher training in 2007, he has built a strong following of students who attend his Rocket and Yin classes. The main focus is on healing the body, releasing tension through deep stretches, focussing on the breath, and building true strength. Risto's known for his quality adjustments, positive guidance, and playful inversions. Baptiste Power Yoga Teacher Course - Vancouver, B.C. 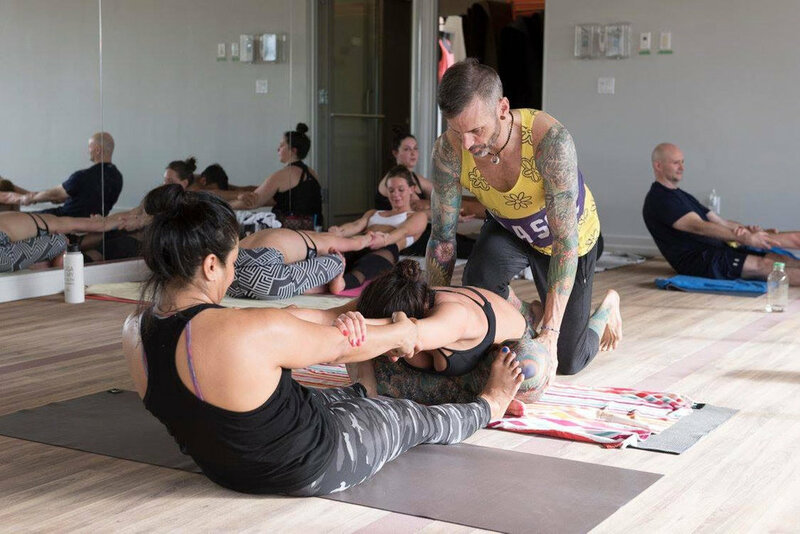 Immersive training sessions for yogi's who want to elevate their practice, and for certified teachers who want to learn how to teach The Rocket. Risto's workshops range from Inversions & Arm Balances, Yin with Live Music, and The Rocket. Risto's power classes are demanding, and he needed a pair of yoga shorts that could perform well with all the arm balances and stay fitted. So he designed and had the RAD Power Shorts made locally in Richmond B.C. RAD Yoga Bags have been a labour of love since 2000. Risto handcrafts every bag himself with heavy cotton fabrics, industrial hardware, and they are large enough to carry a full size Manduka 27' wide. RAD Yoga Gear now includes handcrafted bags, sweaters, and tanks, and is growing with love here in Vancouver. The Rocket is an invigorating style of Ashtanga Vinyasa Yoga that heals and strengthens the body with a rhythmic power flow, playful (optional) inversions, and deep hip stretches. Each pose prepares the body for the next pose, which is why it is such an effective practice for healing and building strength. Anyone can benefit from The Rocket, and what I love most about it is that beginners can practice beside experienced yogi’s, and everyone is learning and progressing. All the arm balances and inversions are optional, and you practice with the wall as a partner. Also breaks are encouraged, so if your body feels fatigued, just hang out in child’s pose or down dog. Larry Schultz trained with Pattabhi Jois '82 - '89, and took the 3 series of Ashtanga and created "Rocket Yoga" in his home of San Fransisco in the 90's. Larry was The Grateful Dead's yoga teacher. Bob Weir of The Grateful Dead suggested the name "Rocket" while Larry was teaching the band, because "it gets you there faster" - so it's great for anyone who wants to get to another level in their yoga ability, build a strong core, and heal their body. Check my schedule to find when and where I teach Rocket, and come give it a shot! Privates ($90 for 90min. ), to book a spot on upcoming RAD Yoga Surf Retreats, reserve Workshops at your Studio, pick up some RAD Yoga Gear, or just to say hi.